Staffing Solutions works to ensure that we present only the best candidates to our clients. Our methodology for selecting qualified candidates is designed to select, qualify and deliver top performers in the IT industry. Interview – We discuss with our candidates their work history, technical expertise, preferences and professional goals to create a clear picture of their abilities and career goals while also assessing their interpersonal skills to interface with non-technical people. Feedback from References – The information provided by references is of critical importance. We conduct three reference checks when available on each candidate to verify work history, technical, interpersonal and communication skills. 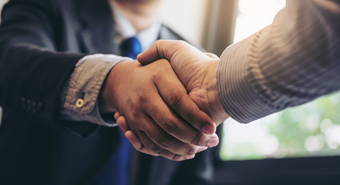 Meet Consultants and Clients – In our local markets, we meet our consultant at the client site the first day of each job for a personal introduction to our client. Next Day Follow-up – After our consultant’s first day, our client will receive follow-up from a Technical Recruiter to provide an opportunity to address any questions or concerns. Periodic Follow-up Calls to the Consultant and Client – Phone calls will be made to our consultants and clients to regularly check on the status of the job as well as give opportunity to discuss issues and answer any questions. Retention Program – Approximately 30 days prior to the contract end date, a determination will be made as to whether a contract extension is appropriate or if we should look at further placement opportunities for our consultant.